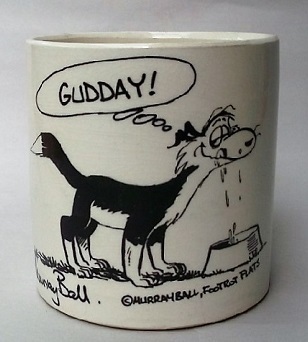 what was the first cup to use a 739 saucer? We already have "Hancock's" and we already have the 739 saucer. What surprises me here is that this 739 has a 48-55 backstamp. I didn't realise that they were made that early. It looks as though it will turn out to be a 739 but I will just have to wait until the end of the week (hopefully it arrives by then) to find out. I'd like to swap for Jim's plain cup but this topic tells me I probably don't have a 48-55 739 saucer without a monogram. Bah! 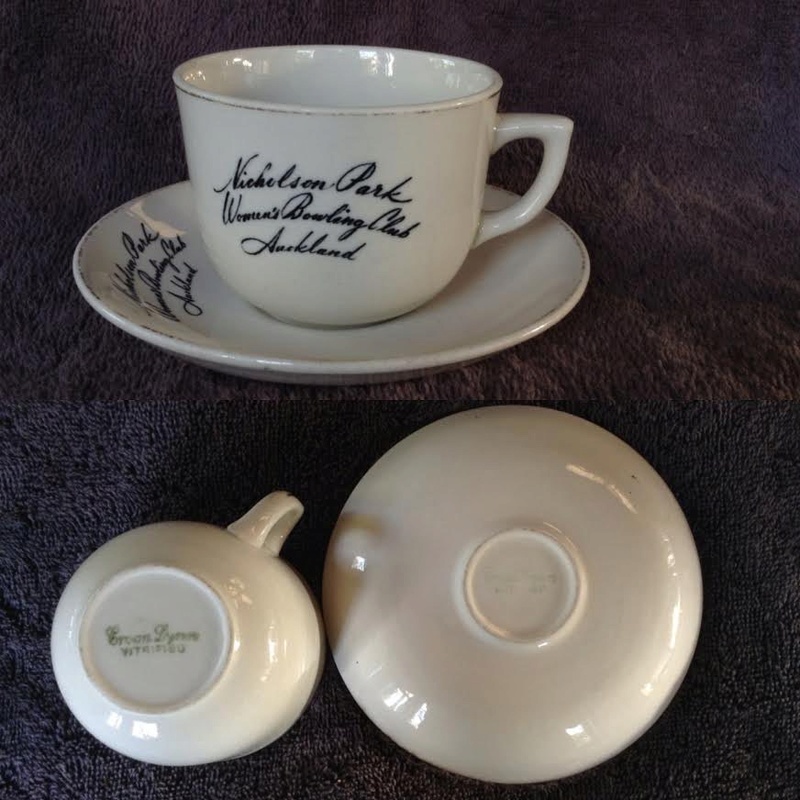 In the absence of documentary evidence, the most reliable way to match cup and saucer shapes is to obtain a matched pair, that is a pair with matched backstamps, and matched pattern or monogram. 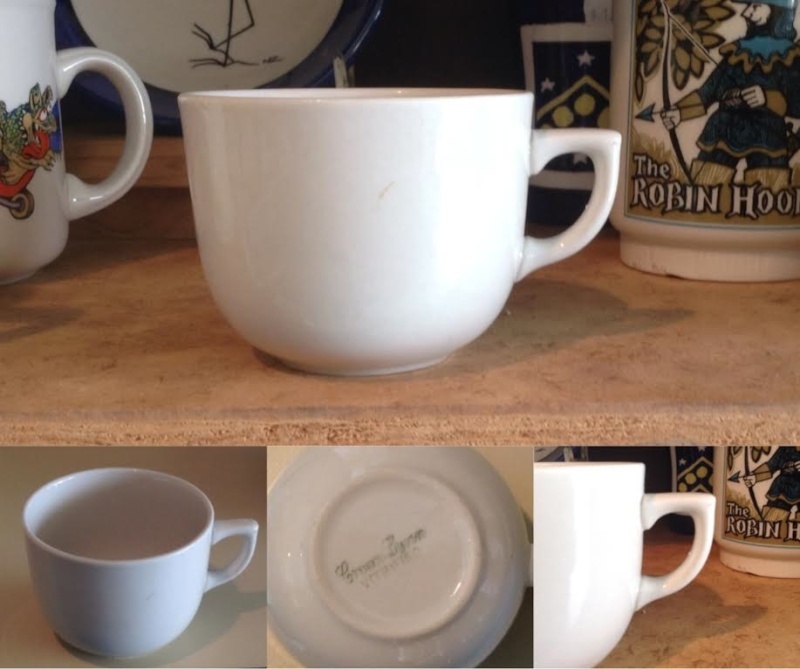 In the original post I speculated that a likely contender for earliest cup to match the 739 saucer could be the unnumbered cup with vitrified "Carlton" cup body and unique handle first seen in a photo from Jim Brock's collection. This find of a pair with the same green 1948-55 Crown Lynn Vitrified backstamp and matched monograms appears to confirm that speculation. 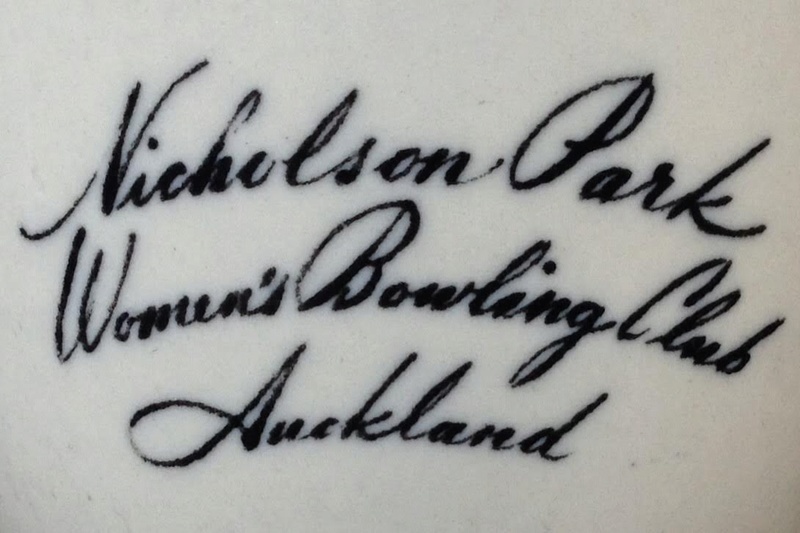 At time of writing I cannot remember if I have yet located a 755 vitrified Carlton cup with the same or earlier backstamp.